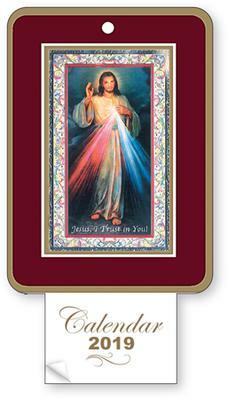 CATHOLIC GIFT SHOP LTD - Post Card Size Divine Mercy 2019 Calendar. Post Card Size Divine Mercy 2019 Calendar. Divine Mercy 2019 Calendar with Liturgical Date Tab & prayer and silver foil highlights. The card may be red or green.